S. Mehrotra | I.K International Publishing House Pvt. 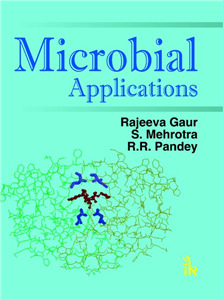 Ltd.
is Associate Professor in the Department of Biochemistry, University of Lucknow, Lucknow (UP). He has a teaching and research experience of more than 22 years. Earlier he served in the Department of Biochemistry, Dr. R.M.L. Avadh University, Faizabad for a period of 13 years and was also its founder member. Four students have been awarded Ph. D. degree under his guidance. He has published 12 papers in national and international journals and contributed many chapters in edited books. Dr. Mehrotra and his research group have also presented more than 30 papers in various national and international seminars, conferences and symposia. He has completed a number of research projects sponsored by various funding agencies such as AICTE, UPCST, UGC, etc. He is a life member of various academic bodies such as SBC (I), STOX (I), ISCA.